Cheer up the day for your dear ones with the best valentine gift of a Bunch of 10 Red Roses and 16 Pcs. Ferrero Rocher Chocolates Box. 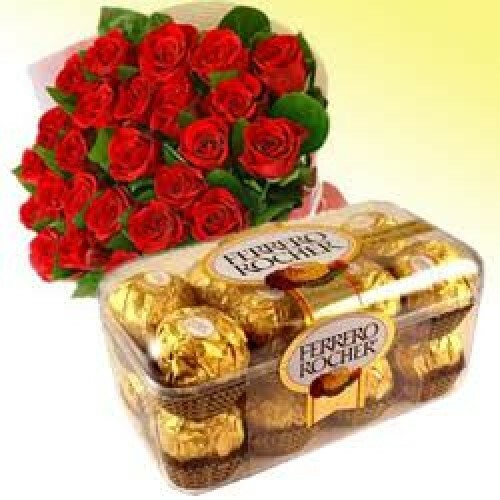 Send this unique valentines day gifts for him through coimbatoregiftsflowers.com.